A teen from Mississippi escaped from the Harrison County Youth Detention Center on July 31, 1973 at the age of 17 according to Associated Press. The young man, Joseph Spears, was never seen or heard from again by his family. 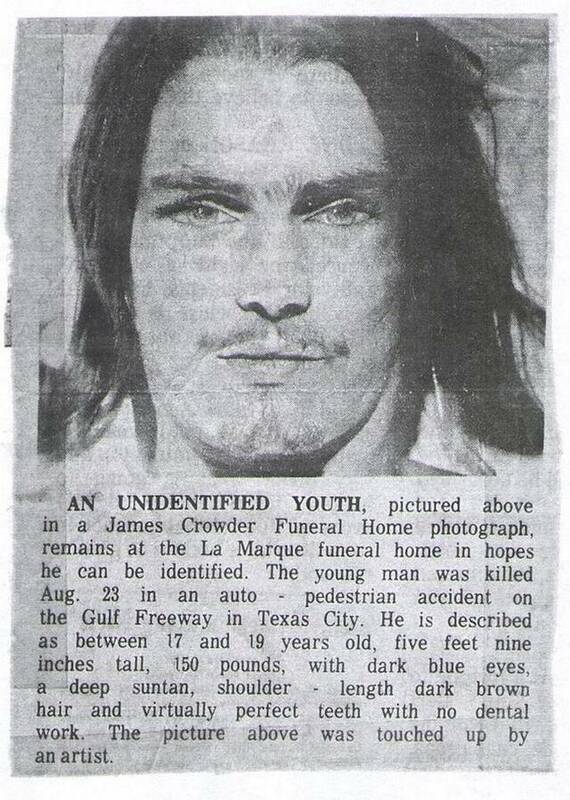 A month later, an unidentified teenager was killed in Texas City, Texas while trying to cross a freeway on August 23, 1973. The community of Texas City raised money to give the unidentified teenager a funeral and grave. Hayes Grace Memorial Park in Hitchcock, Texas, which led her to look into the young man’s background in hopes of finding his identity and loved ones. Decades later, Davidson found Joseph Spears’ information on the National Missing and Unidentified Persons System (NamUs), which led authorities to exhume the unidentified teenager’s body. Joseph’s mother, Mary Raskin, positively identified the body through photographs. 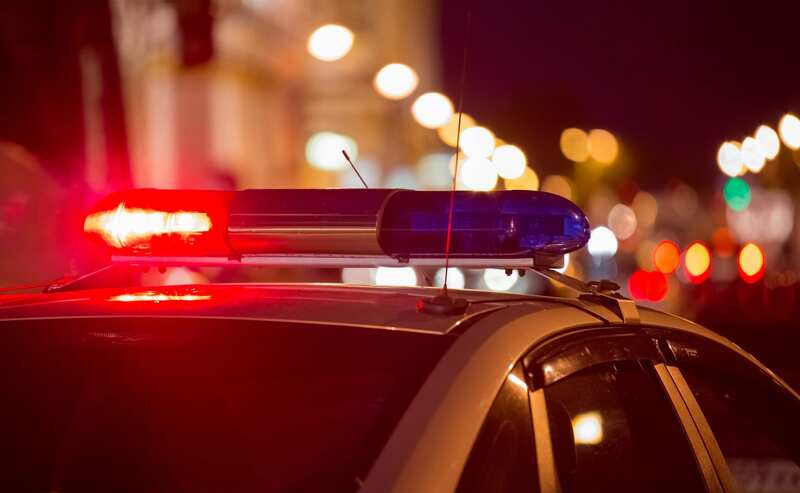 Maryland police officials found a deceased male in 1994 with no identification and severe injuries to his face complicating positive identification. In 2008, Carla Tippie Proudfoot, the Director of the Maryland Missing Persons Clearinghouse, was helping the Maryland state medical examiner’s office load cold cases into the NamUs database and entered the information regarding the unidentified male with a forensic artist’s sketch of the man’s believed appearance. Later that year, a new image of the unidentified man’s appearance was uploaded to the NamUs profile. A local newspaper published a story about the unidentified man’s case with the inclusion of the new photo. Two weeks later, a woman came forward claiming that the unidentified man in the paper is her missing nephew, David Riddick. Authorities later confirmed the man’s identity and his body was finally sent home. Mr. Riddick’s family was able to bury their loved one after fourteen years. According to the National Institute of Justice, NamUs has helped government agencies to solved missing persons cases all across the country. The National Missing and Unidentified Persons System helped to improve upon the local and statewide websites dedicated to providing information on missing persons. “Before NamUS”, as Mike Murphy points out, “it was more of a haphazard, disjointed, localized effort.” Mr. Murphy works for the Clark County Coroner’s Office in Nevada. There was often incomplete data or information, or the search for information could lead one through dozens of different websites and databases before providing the needed information. According to a report by Beth Pearsall and Danielle Weiss, there are estimated 4,400 unidentified persons cases each year. NamUs helps provide necessary information to officials involved in solving missing persons cases. NamUs is under the control of the United States Department of State with a budget of $3.5 million. The organization works with local and national law enforcement, non-profit organizations and medical examiners. NamUs employs a wide range of experts involved in solving missing persons cases including dad analysts, fingerprint experts and forensic dentists to help identify the unidentified. Since the debut of the National Missing and Unidentified Persons System, over 700 missing persons cases have been solved. Unfortunately while these cases are finally being solved, most of the missing persons are found to be deceased, very few are found alive. NamUs provides information about how average citizens can help find missing persons through the database, “NamUs is only as strong as the cases within it and those who use it.” NamUs urges anyone who believes they have information regarding a missing or unidentified person to report the information to local law enforcement immediately. The organization emphasizes that individuals should not put themselves in potentially dangerous situations and to leave the investigations to law enforcement or the appropriate authorities. Author Tiffany Walker, Lauth Investigations.